As strange as it seems, adding a horse to the psychotherapy and learning equation may be the missing piece you’ve been looking for! The use of horses in therapeutic approaches is continuing to grow worldwide due to the amazing outcomes that can be achieved. 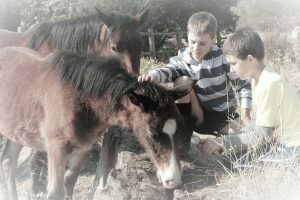 This new approach to psychological therapy is called Equine Assisted Psychotherapy. 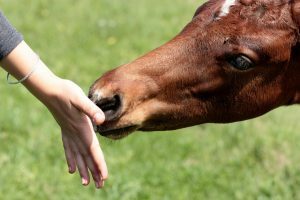 Equine Assisted Psychotherapy is a developing treatment in which humans interact with horses in their natural environment as a tool for emotional growth and learning. It is a collaborative effort between the client, a mental health professional/therapist, an equine specialist and the horses themselves. The therapeutic work is integrative drawing where appropriate from systemic theory, attachment theory, dialectical behaviour therapy, cognitive behavioural therapy, behavioural activation therapy and always incorporates elements of mindfulness and emotional regulation. Equine assisted psychotherapy often helps clients change and grow more effectively and quickly than traditional clinical and psycho-educational approach. This is because people typically learn best by doing. Life lessons take deeper root when individuals both understand them in their heads and experience them in their bodies. Working with horses is engaging and hands on. The experience is immediate and fully felt. This helps clients to learn about themselves and others by participating in activities with the horses, then discussing and processing feelings, behaviours and patterns. 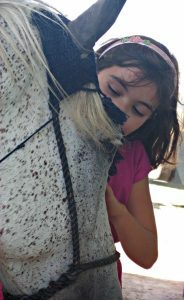 The horses allow the therapy to be conducted in a gentle way, with the focus on the horses and their behaviour rather than solely on the client themselves. This helps to reduce anxiety and allows the client to explore their difficulties in a very supportive, calming, grounding environment. They are large, powerful and generally amazing! By working with horses and professional therapists, the horses can help clients to discover new ways of dealing with and overcoming problems, learn about themselves and others, how they relate to others, develop self-awareness, confidence and ability to take responsibility and make decisions. These skills are transferable to other areas of their lives. The real, fully felt experience is also believed to lead to longer lasting change. communicate through non-verbal means which provides the opportunity for clients to explore things in a nonverbal way as well. EAP is a powerful and effective therapeutic approach which has incredible benefits on individuals from children to adults and can help to address a variety of mental health and behavioural difficulties including trauma, anxiety, depression, relationship problems and communication needs. What happens in an EAP session? It’s all on the ground! Sessions involve no riding. In this work the horses are able to be themselves, do not have to act in a certain way and are free to come and go as they please. Similarly our clients are under no pressure to be anything other than themselves. This is a space to explore, be ourselves and build relationships on an equal footing. 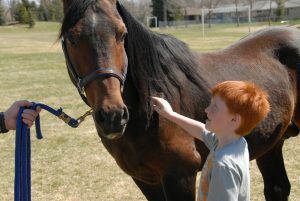 The therapy involves spending time with the horses and can include activities with the horses including grooming, handling and leading and other tasks which require the client to apply certain skills such as non-verbal communication, assertiveness, emotional regulation, creative thinking, problem solving, leadership, teamwork, relationship skills, confidence and several others. All sessions start with a brief discussion. Please note for the first session this will last a little longer, maybe 10-15 minutes in order for us to complete the pre therapy outcome measures and set the goals for treatment. Then the remainder of the 1 hour will be spent outside with the horses. On average clients require 8-12 sessions. Spend the first few minutes observing the herd from outside the field/arena, making reflections as and when appropriate for the individual. Join the herd in the field/arena and spend time interacting with the horses, making reflections on roles, relationships, patterns of behaviour etc (again dependent upon what is appropriate for the client). The client may then choose a single horse to work with in the field or arena or continue to work with the herd. Work is client led and may involve constructing/creating structures to represent important times/processes/ events for the client. The horse(s) reaction to and interaction with the structure is explored. Towards the end of the session the client is told that they have a few minutes left and are invited to spend a few minutes alone with the horse(s). Professionals are still present and not far from the client but space is allowed if the client wishes to take it.